There are many reasons to go on YouTube, whether it’s to watch popular YouTubers have fun or watch student films. But one of the most popular reasons is to watch the never-ending flow of makeup tutorials. The people making the tutorials, often known as “beauty gurus,” are an inspiration to many viewers around the world that enjoy the content and trust them for guidance on how to achieve the looks that they are presenting. “5 Minute Drugstore Makeup Tutorial” is an 11-minute makeup tutorial made by makeup artist Christen Dominique. Dominique is going for a natural look with a ‘second skin’ base – essentially, this gives the illusion of good skin, even when you don’t have it. After watching the video, you’ll be able to do it using only five minutes of your time. The look is really simple and is made using basic makeup products that you can find in your makeup pallet and are super affordable. Since it’s a natural makeup look, it’s also easier to find similar replacements of the products needed to recreate the look. 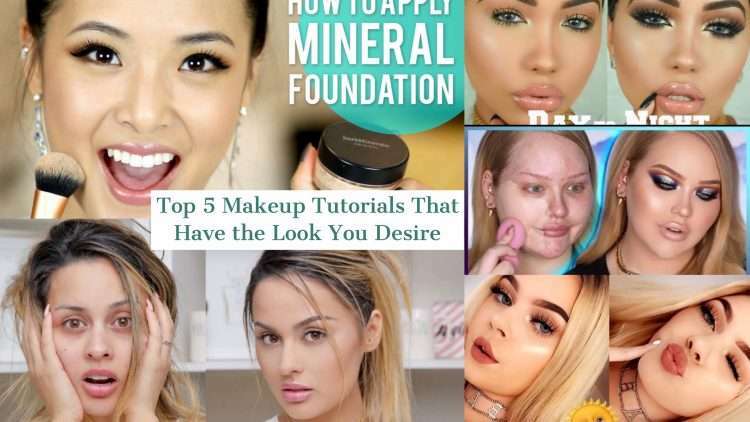 This makeup tutorial made by beauty blogger & YouTube guru, From Head To Toe, is really helpful when showing the process of applying Bare Minerals, which happens to be this YouTuber’s favorite foundation. 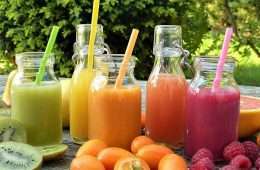 The mineral makeup look she is presenting in her video takes a different and healthier approach to makeup compared to any of the other four looks listed in this article. The look is perfect for bringing out your best features without looking like you’re wearing makeup. It also makes you feel comfortable in your own skin, literally, because it allows your skin to breath better since you’re applying thin layers of coverage onto your face. “EVERYDAY Summer Makeup Tutorial | SWEAT-PROOF” is a 13-minute makeup tutorial made by the 16-year-old artist, Tina Halada, who provides content on YouTube containing beauty, fashion, and lifestyle tips. This look is perfect for the hot season that people are currently facing in Bucharest, where the makeup never seems to last for the whole day. Now not only have wasted all your time and money that was spent on the products used to apply your makeup, but it’s all washed down the drain along with some tears because your bare face is exposed and you’re looking like a hot mess. This tutorial shows you how to stop all that waste, and how to recreate this super simple, fresh, and glowy summer makeup look that you can’t help but enjoy. In this makeup tutorial by Melly Sanchez, there are technically two looks being presented using Catrice Cosmetics. One is lighter for during the daytime, and another appears heavier on the face, which is a perfect switch for when night falls. The difference between both looks is literally “day and night.” Although, of course, you’d naturally need a lot of products for this look, maybe even more than most people’s full glam look. The first look uses 16 makeup products while the other requires just 11 products more to turn your previous look into a “night” look. “THE ULTIMATE NYE GLAM TRANSFORMATION!” is a makeup tutorial coming from a very talented and inspirational makeup artist known as NikkieTutorials. She can take you on a magical rollercoaster ride that goes to the next level in makeup and glam usage. It’s a 12 minute tutorial of her explaining her every step, which is a reasonable length for an all-glam transformation. This look is perfect for special occasions such as New Year’s Eve when you feel festive and want to get that glowy, glittery look, feeling like Cinderella, except that when the clock strikes twelve, you’ll still have your glow on. In order to capture Nikki’s full glam on your face, you’ll need a total of 20 products to successfully recreate this look. Trust me, it’s worth it.